That’s not all as the school is already planning additional book donations to the community for the spring of 2019. Additionally, Lottie Mitchell, Chief Academic Officer of the Gilmer County Charter School System, took time during January’s meeting to highlight the points of Literacy Nights, an event that each school in the system has already hosted once this year. A family night of fun and books, the events showcases the importance of reading and its effects on students. 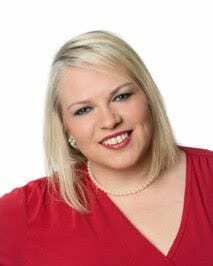 Kingsley also noted that a child who reads 20 minutes per day is exposed to 1.8 million words per year and scores in the 90th percentile on standardized tests. A child who reads 5 minutes per day is exposed to 282,000 words per year and scores in the 50th percentile on standardized tests. A child who reads one minute per day is exposed to 8,000 words per year and scores in the 10th percentile on standardized tests. The school system’s goal is to encourage parents to read to their children and to encourage their children to read at home in order for students to experience higher levels of academic success. Taking the time to highlight these Literacy Nights and the Book Donations is the next step in accomplishing that goal. 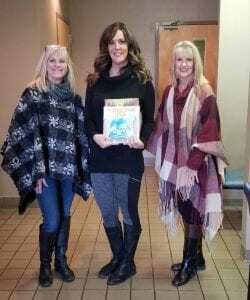 Left to right, Katrina Kingsley, Gillmer County Pre-K Director, Jennifer Farmer, Gilmer County Department of Children and Family Services Director, and Lottie Mitchell, Gilmer County Schools Chief Academic Officer. 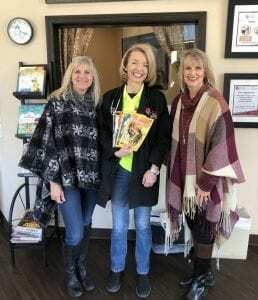 Katrina Kingsley, Gillmer County Pre-K Director, Tiffany Baker, East Ellijay Family & Cosmetic Dentistry, and Lottie Mitchell, Gilmer County Schools Chief Academic Officer. 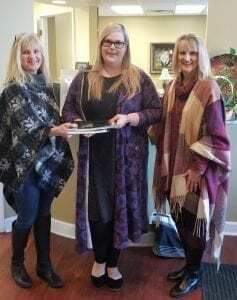 Left to right, Katrina Kingsley, Gillmer County Pre-K Director, Dr. Alana Kent, Lifetime Medical Center and Lottie Mitchell, Gilmer County Schools Chief Academic Officer. Left to right, Katrina Kingsley, Gillmer County Pre-K Director, Krystal Sumner, Gilmer County Health Department Nurse Manager, and Lottie Mitchell, Gilmer County Schools Chief Academic Officer. ELLIJAY, Ga. – While considerations continue for Gilmer County’s 2018 budget, new changes and suggestions have been considered through the commissioners’ December meetings. Some changes came with an expected increase in property tax revenue that was mirrored with a increase to contingency fund in relation to each other. While the expected increase is based on the current standing for property taxes in 2017, the commissioners decided placing the increase in contingency would allow for some extra room on the exact number fluctuation. The contingency also further supports the back-up funds for buildings and maintenance that Gilmer County Post Commissioner Dallas Miller has been requesting as Gilmer County Commission Chairman Charlie Paris tells FYN that contingency could be used for any unexpected expenses for repairs or other items. Funding has begun being set aside for the Lower Cartecay Road Bridge as well. In the county’s capital budget, $250,000 was set into a line for the bridge repair. It was also later increased during their regular meeting to $350,000, pulling the extra $100,000 from added revenue in the capital budget from taxes. The commissioners are still assuring the public they are actively pursuing a federal grant to repair the bridge. However, as the funding is not guaranteed, Gilmer County Post Commissioner Travis Crouch further urged these funds allocation. Crouch went on to confirm that as soon as they could confirm the grant funds or other means of financing the $1.2 million project, he was in agreement with Miller’s suggestion. Pursuing an increase to financing for the public works department, Miller had previously made suggestions as to accomplishing that during their work session saying the county is behind in providing roads and bridges for public works as public safety in whole gets three times the funding as public works. While initially stating he wanted to increase the percentage of the budget that public works receives, Miller specifically stated he wanted to take a flat number out of the public safety budget and move it into the public works. Miller later mentioned $200,000 as a number. Paris took a moment to say that he had repeatedly cut all the departments under the public safety budget and could not feasibly see any possibility of further cuts. Gilmer County Sheriff Stacy Nicholson adamantly opposed the suggestion saying the department didn’t have it. Nicholson told the commissioners that he is already going to lose staff because he cannot give raises to everyone. He further commented saying they would be the lowest paid Sheriff’s office in the Appalachian Judicial Circuit starting Jan. 1. Nicholson vehemently defended his current budget after major cuts adding that issues continually arise in the county that affect his budget. Referencing a couple of medical issues that have arisen, he noted major expenses that came through errors at other areas. Pritchett also noted that the revenue each year for the emergency services offsets about half of their budget. He noted strain on their salary and wages already and any more cuts would make the work load unsustainable. As Miller responded, he noted the great work public safety, as a whole, has accomplished, alongside the major needs of the county’s infrastructure. While Paris spoke about the strides the county has made in public works in the last couple years, Miller noted the strides they still need. Gilmer County Public Works Director Jim Smith also spoke against the suggestion saying although he appreciated the acknowledgement of the needs public works has, he didn’t feel it would accomplish anything to improve public works at the detriment of public safety. Smith went on to comment on the progress his department has made saying that in his 16 years with the county, public works has been treated better in recent years than it has ever been. While this specific suggestion never came to approval, Miller alluded at the regular meeting that the $100,000 in the capital budget, which he agreed to be put into the Lower Cartecay Road bridge project, would be returned towards public works investments as funding for the bridge was obtained. Commenting on the budget, Chairman Paris called it a “bare bones” budget for its departments. ELLIJAY, Ga. – The Gilmer County Board of Commissioners met Thursday, Dec. 21, for final approval of their 2018 budget before the new year. Before the official vote, the commissioners presented a couple of final clerical notes to the budget where they changed language on one item to reflect the money allocation. The board changed a Public Works line item to phrase its project as lift station and/or scale as Public Works Director Jim Smith brought to light a recent issue with one of the solid waste department’s scales. In need of repair or replacement, this could preclude the lift station project from next year’s budget. Additionally, Gilmer County Commission Chairman Charlie Paris added an item in the capital budget for an upgrade to the county’s digital storage and the 146 gigabyte share of the county server they have. The server does not have sufficient space. Therefore, an upgrade to storage was already included in the allocated money, but Paris stated he had not listed it as an item. None of these items actually changed any money allocation or lines of the budget. Citizens speaking at the meeting brought up discussion on items for the budget in the county. Gilmer resident Joene DePlancke asked about the county’s golf course funding and revenue. Paris offered that this year represents the first year that the course is standing alone, meaning revenue will be equal to expenditures. However, it was also noted the “break even” did not include capital expenditures for the facility. Still, the commissioners noted confidence that the facility is continuing its progress towards a revenue generation for the county. Citizen Dan Meadows commented on the county’s work session and Gilmer County Post Commissioner Dallas Miller’s comments about the budget and funding for Public Works versus Public Safety. Seeking alternative paths to funding, Meadows questioned possibilities to utilize SPLOST or grants for employee funding. Much of the citizens’ input revolved around the conversations of funding raises and employee retention while avoiding inter-department tensions or funding re-allocations as mentioned in the county’s December work session. Additionally, DePlancke suggested utilizing volunteers throughout the county when possible. Citizen Donald Patrick echoed the same sentiments stating the county needs to keep good people in these departments. He noted the issues with training and paying an employee but losing a potential employee to neighboring counties who may offer $1000 to $2000 more in pay. Final approval came for the 2018 budget with a motion from Gilmer County Post Commissioner Travis Crouch and a second from Miller. ELLIJAY, Ga. – With discussions upcoming on the 2018 proposed budget, citizens are taking a closer look at the finances. FYN has also delved deeper into a more detailed look at the 2018 Proposed Budget. First, a comparison with the current standing of the 2017 budget will show the most general changes as the 2018 proposed Maintenance and Operations (M&O) budget at $28,729,313.00, up from the current 2017 M&O budget at $27,037,174.00. While this represents an increase of $1,692,139.00, citizens will need to remember that the 2017 is still to go through final amendments at the beginning of next year when the final records and tallies are taken into account. The 2018 budget is proposed at this point, allowing still for changes before final adoption, which is scheduled next week on Dec. 21. The largest increases fall where expected in the largest departments. The Sheriff’s Office will increase $127,755 (2018 total: $3,406,009). Roads/Bridges will increase $214,023 (2018 total: $1,522,758). 911 Dispatch will increase $111,017 (2018 total: $918,140). Fire and Rescue sees the largest increase without comparison at $221,517. However, as citizens look at smaller departments, increase seem be just as large relative to current budgets. Tax Assessors will see a $77,523 increase. While this may seem a smaller number, comparing it to their previous 2017 budget of $780,086 represents almost a 10 percent increase. The Tax Assessors Department was among those asking for raises this year as they have seen a higher than average turnover rate for employees in the past who, similar to other departments, find better financial opportunities elsewhere. While, usually, assessors have different levels based on knowledge, experience and training, Commissioner Chairman Charlie Paris has previously stated the raises this year are being spread in an attempt to bring up the lowest paid employees in the county, not just individual departments. Additionally, Probate Court will see a $60,880 increase (2018 total: $373,222), and Solid Waste will see a $68,013 increase (2018 total: $787,992). Another major change comes in from Elections. Considering the coming federal, state and county elections in May, possible run-off in July, November and another possible run-off in December, the $97,030 increase is not unexpected over the 2017 budgeted $33,442. The 2017 year had no county positions up for election. One department saw a major decrease in budget. The Parks and Recreation Department will see a $57,449 decrease (2018 total: $606,172). Having recently lost an employee, the department decided not to replace the person. While not all of the decrease is attributed to this loss, the majority is accounted through payroll as well as benefits and healthcare. 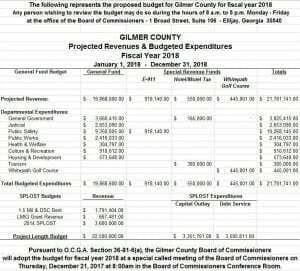 ELLIJAY, Ga. – Since October, the Gilmer County Board of Commissioners have been through hearings and meetings, discussing and reworking the county’s 2018 budget. With last week’s publication, a balanced budget is now available for debate. But does that mean the budget is set and beyond change? No. While publishing the budget generally signals the final stages of the process, it does not mean you, as citizens, cannot speak, petition and urge further changes for the county’s budget. 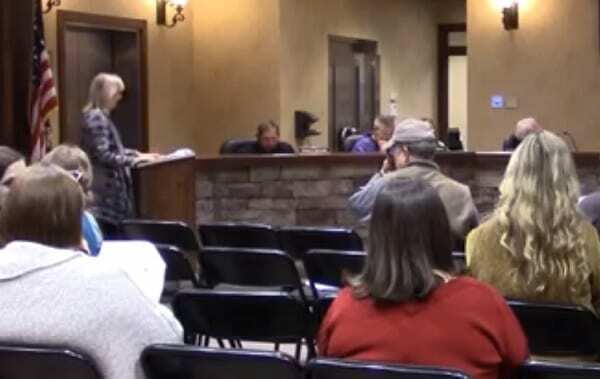 In fact, Gilmer County Post Commissioner Dallas Miller specifically urged citizens to attend one of this week’s coming commissioners meetings. There are several chances to respond as Wednesday hosts their 8 a.m. work session and Thursday hosts both a public comments meeting at 5:30 p.m. and regular session at 6 p.m., . Even then, the final budget approval is not scheduled until next week, Dec. 21. If no further changes or delays come, the commissioners are set to have their budget before the start of 2018. This means no need for a spending resolution for January. A resolution that the Board has used before, it stands as another sign of the progress Gilmer has made in recent years. Gilmer County Post Commissioner Travis Crouch noted the M&O Budget (Maintenance and Operations) was and is the challenge in the budgeting process saying, “We’re going to be in a challenged financial situation.” Noting the challenges ahead, Crouch did say he believes the county has majorly improved financially in the last few years. The county’s budget process stretches limited resources across the county and leads to tough decisions for the commissioners. Gilmer County Commission Chairman Charlie Paris commented on one of the major changes to this year’s budget stating, “Our objective this year is to get those people on the very lowest levels of pay … and we’re trying to concentrate on those folks this year.” Paris was speaking on numerous departments asking for raises for personnel, attempting to keep our county competitive to others. Pay was mentioned several times in the process for attracting quality candidates for positions and keeping those here from leaving for financial reasons. When questioned about sustaining the financial needs of these raises, Paris noted the county’s successes and increases in tourism and popularity to increase LOST (Local Option Sales Tax) rather than millage rates on property taxes. Part of the county’s successes are exemplified in achievements like updating the county’s vehicle fleet, from road works machines to emergency vehicles in recent years. Also, maintaining a contingency fund for operating finances for the county is another concern. Growing the contingency funds could address issues like Miller’s concerns for building maintenance in coming years, but issues like that as well as the lower Cartecay Road bridge have yet to be given specific financial sources to address them. While not specifically noted in the budget, the county is also utilizing its Tax Anticipaton Note (TAN) later into the year. Paris noted that he expects, with the county’s current progress, he could see Gilmer reaching a point in a few years for bidding a TAN but not using it. Though the first year in that situation may still bid the TAN as a back up, not using it would be the exemplification of the achievement. 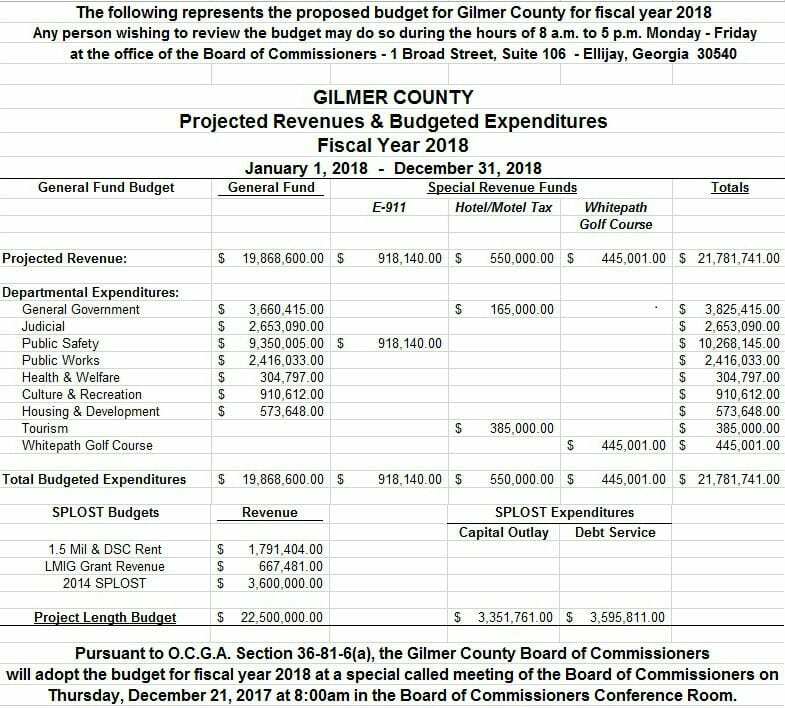 Despite the positives achieved, the process of budgeting for Gilmer took in all requests for the county budget and saw a need for massive cuts. Much of the county’s offices and departments requesting raises will not see the full request fulfilled. The Sheriff’s Office and Emergency Management personnel already saw raises in the last couple of years. While the number of requests drove home the importance, the county’s finances could not support every increase. Paris tells FYN this is what leads to tough decisions for the county such as focusing on the lowest paid employees this year for raises. A major concern from Post Commissioner Miller was noted as he stated, “What I am concerned most about this budget … We spend three times as much on public safety as we do on public works. Public safety is almost 50 percent of our budget.” Miller noted public safety as inclusive of departments like the jail, the Sheriff’s Office, Fire and Rescue, 911, animal shelter and others. Noting the infrastructure was among his major concerns, Miller stated he would be pushing harder to address this in the future. Crouch and Miller both echoed notions that they expect further conversation and discussion on the budget. However, with the already advertised special called meeting next week on Dec. 21, the budget approval looks to be a major item at this month’s regular meetings. The proposed budget is showing 25 departments increasing and five decreasing in total budget. However, Paris notes that most of the changes are less than five percent in either direction.